TERVIS FLEXIBLE Straws, Great for Sports Bottles, They Fit My 3/8" Straw CAPS!! Mason Jar Sipper Supplies - LIDS, Reusable STRAWS & GROMMETS...Easy!! "FROSTY" STRAWS, 1/4" X 9" or 11", Solid Frosty Colors, Reusable. LOT 4 - HOT STRAWS, For Coffee & other HOT Drinks, BPA Free, Made in USA! White Plastic RINGS and LIDS for Mason Jars, Regular & Wide Mouth sizes. MINI Mason Jars, GIRLS' NIGHT & other SHOT Glasses, MINI Mugs, All are Glass. SPOON STRAWS!! Reusable, Multi-Colored, 4 Styles To Pick From!! "CANDY CANE" STRAWS, Red, Blue, Green & Purple. 9" & 11" Reusable. FLAWED, IMPERFECT Items From My Suppliers. 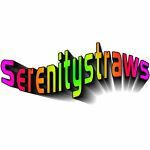 Everything is $1.00, Straws, etc. BOTTLE STOPPERS & CAPS, Wine, Beer, Soda Straw Hole Caps!! HANDLES for YETI, Ozark & Tervis, You MUST Read Listing!!!!! HALLOWEEN Straws!!!! Black & Orange, SPOOKY!!! Bottle Clothes For Wine & Liquor Bottles, Great Gifts For Any Occasion! Instant Handle for Pop/Beer Cans & Beer Bottles!